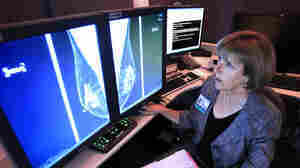 January 1, 2013  The 2012 mammography debate was a continuation of a controversy touched off three years ago when a government task force said women under 50 don't need regular mammograms. 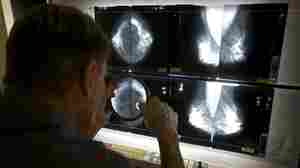 And one recent analysis found that regular screenings haven't reduced the rate of advanced breast cancers. November 21, 2012  The last three decades have seen a dramatic increase in early-stage, but not late-stage, breast cancers, as mammography has become routine. 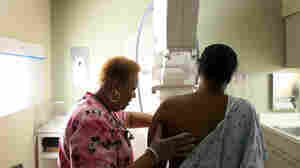 Some researchers are concerned that women are being treated for cancers that would never turn deadly. 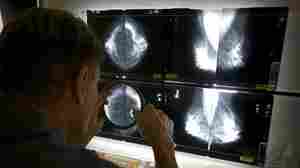 September 7, 2012  Researchers concluded that exposure to diagnostic radiation before age 30 is associated with an increased breast cancer risk in women with a certain genetic mutation. They recommend that if a girl or young woman needs diagnostic evaluation via X-ray or CT scan for any reason, she should undergo MRI, which does not use radiation. September 6, 2012  There are conflicting guidelines on when women should get mammograms and mounting questions on when the PSA blood test for prostate cancer is worthwhile. We asked how people are sorting things out. 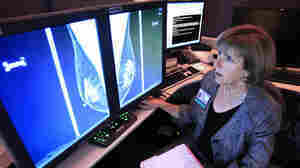 August 20, 2012  A flurry of donations to Planned Parenthood during a dispute with Susan G. Komen Foundation is fueling an expansion of breast cancer services. Planned Parenthood is stepping up education about breast health. The funds will help fund mammograms and other tests, as well as the distribution of a tool to help doctors and nurses assess cancer risk. April 30, 2012  In two new papers, researchers found that two types of women would benefit from regular mammograms in their 40s: those who have very dense breasts, and those who have a close relative who had breast cancer. But some scientists say the papers are misleading women and their physicians. April 3, 2012  Norwegian scientists say as many as 1 in every 4 cases of breast cancer doesn't need to be found because it would never have caused symptoms or death. They also question a fundamental justification of mammography: that it finds more cancers when they're early and more curable. November 17, 2009  I am going to make a statement that might upset some people. Health is the one area where SOME profiling is actually helpful. It is just a fact that some ethnic groups are more susceptible to some conditions than others.